Thank you for your interest in the webinar Building & Tuning SQL Server Database-driven Applications with RAD Studio and DB PowerStudio. An on-demand replay is now available. 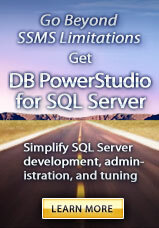 You’ve seen the webinar, now take the next step with DB PowerStudio for SQL Server. Get a complete solution for Windows, .NET, PHP and Web development that works with Microsoft SQL Server databases. 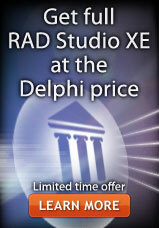 The Enterprise and Architect editions of RAD Studio include dbExpress connectivity to Microsoft SQL Server and other leading databases.